When you’re ready to curl up with a cup of your favorite hot drink, what do you prefer-coffee or tea? Research by Harvard School of Public Health shows that although coffee has its benefits such as boosting metabolism as well as reducing the risk of endometrial cancer; green tea reigns supreme when it comes to overall health benefits. You have probably long heard that there are many health benefits to drinking green tea such as burning fat and lowering the risk of heart disease as well as several types of cancers. 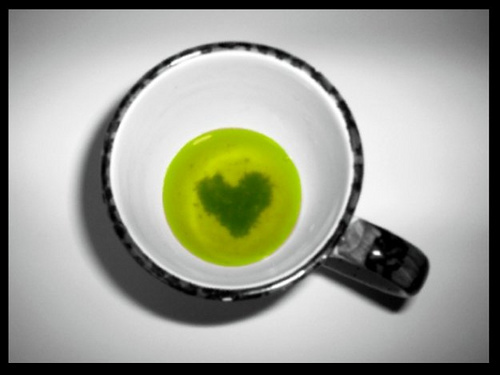 Researchers from the Western University of Health Sciences in Pomona, CA conducted a study and found that the guzzling of green tea is now linked to lowering “bad” LDL cholesterol levels. The study published in the Journal of American Dietetic Association, showed that the individuals with high “bad” LDL cholesterol levels saw the most benefit. The study participants consumed green tea in some form such as in capsules or a drink, and a placebo for a period of three weeks to six months. In a study in Harvard Women’s Health Watch, green tea was found to not only increase “good” HDL cholesterol points but improved artery function in addition to lowering the “bad” LDL cholesterol. Researchers warn though, that although there were significant findings, individuals with high cholesterol should avoid swapping medication for green tea altogether. Harvard Women’s Health Watch recommends drinking tea at least a couple of times a day and steep your tea bag for three to five minutes in order to bring out the catechins. The catechins are the super stars in the elixir as they consist of potent, water soluble polyphenol and antioxidants that gives green tea its 5 star rating. Green tea is also great for your skin. For one, it fights free radicals which damage the skin and the body. A study conducted by Case Western Reserve University in the year 2000 found that green tea extracts help protect your skin from sunburns. Dr. Stephen Hsu of the Medical College of Georgia Department of Oral Biology found that consuming green tea helps regenerate old skin cells nearing the end of their life cycle. He goes on to say that “Cells that migrate toward the surface of the skin normally live about 28 days, and by day 20, they basically sit on the upper layer of the skin getting ready to die. But EGCG reactivates them. I was so surprised.” EGCG is Epigallocatechin gallate, which is a catechin and antioxidant found in tea. There are also many ways to use green tea for homemade beauty treatments by applying green tea to your skin. Check out the video below for one way to use green tea along some common household products to make a green tea scrub. As you can see, there are many health benefits linked to green tea. So the next time you meet up with friends at a coffee shop, give tea a try. Your body will thank you for it!